Few things bring people together like Super Bowl Sunday. 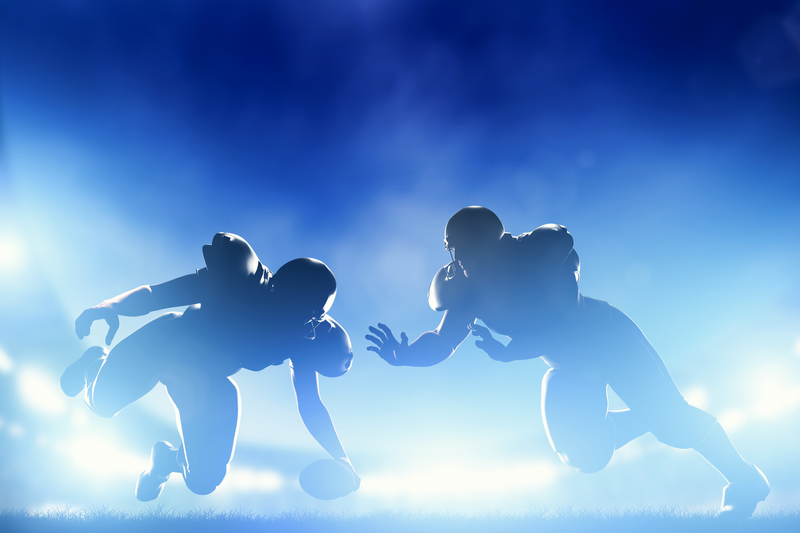 I’m Paula from Celestial Hearing and I enjoy watching the game with friends and family. Often though, I’m thinking about how the experience might feel for people who have hearing loss. For one thing, it can be inspiring to know some of the information below about players in the game with hearing loss. Also, it’s important for everyone to pay attention to noise levels and protect their hearing whenever necessary, but it is especially vital for those who already have hearing issues. You may not be aware of the extent of the noise level, but it can still do further damage to your hearing. Most people don’t know that hearing loss is at the heart of one of the iconic images of American football – the huddle. This was originally a technique used by players at a deaf college back in 1820 to ensure that other teams couldn’t see them signing strategies to each other. The tradition of the hearing loss community’s contribution to football continues in some of its major players. Derrick Coleman, the first legally deaf player in the NFL, famously featured in an inspirational ad for Duracell in 2014. In it, his stirring voice-over states that when, at first, they didn’t pick him for the team, he didn’t listen because he had been deaf since he was 3. This kind of determination led him to the Super Bowl XLVIII where he could hear all the fans cheering him on. Kenny Walker beat spinal meningitis as a child, but he was left with profound deafness. Neither of these stopped him from playing NFL football for the Denver Broncos in the early 90s. Walker’s quick wit and willingness to speak about the issues he has overcome has led to a few inspirational soundbites. He commented that he received the ‘best ovation you never heard’ during his last game at the University of Denver. Wherever you watch the game, it’s probably going to be loud. Cheering and music are all part of the show. You still want to be a part of all that, so consider how you are going to protect your ears during that time. From adjusting your hearing aid capacity to using ear defenders, I can help you come up with a winning strategy which means your choices when it comes to the Super Bowl experience are not limited by hearing difficulties. When it comes to hearing loss, Celestial Hearing is on your side. I offer advice, equipment and hearing assessment in La Cruces, New Mexico to enhance your enjoyment of the big game as well as other aspects of life. Contact me today to book an appointment to discuss your needs and create a tailored treatment plan.